Waikoloa Kings Golf Course at the Waikoloa Beach Resort is a fine example of contemporary links-style course design on lava. The team of Tom Wesikopf and Jay Morrish fashioned this layout to be both user-friendly and challenging by creating several risk/reward scenarios on the mostly level terrain. 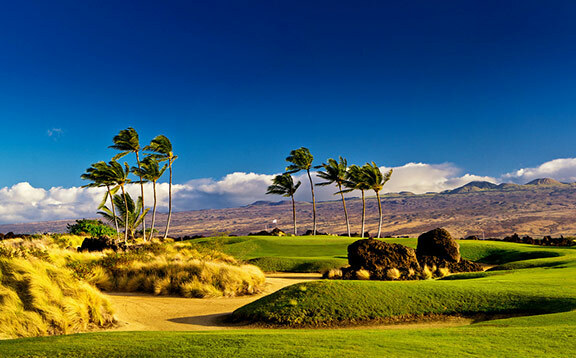 Waikoloa Beach Resort’s Kings’ Course’s hybrid Bermuda turf applications are a considerable contrast to those on its sibling — the Waikoloa Beach Golf Course. 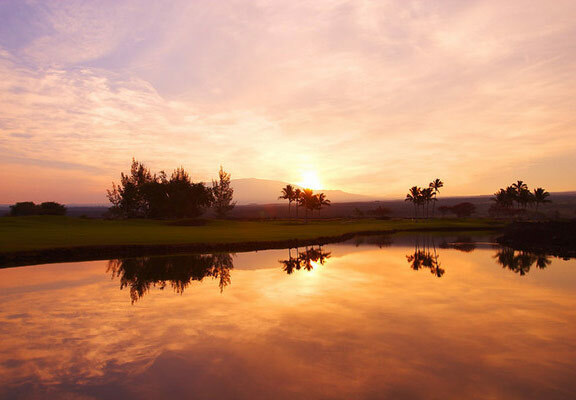 Suffice to say, sophisticated bunker strategies and multiple tee placements enhance the charming idiosyncrasies of six greens tucked behind or abutting long lakes and the occasional huge lava formation in the middle of a few fairways and bunkers. 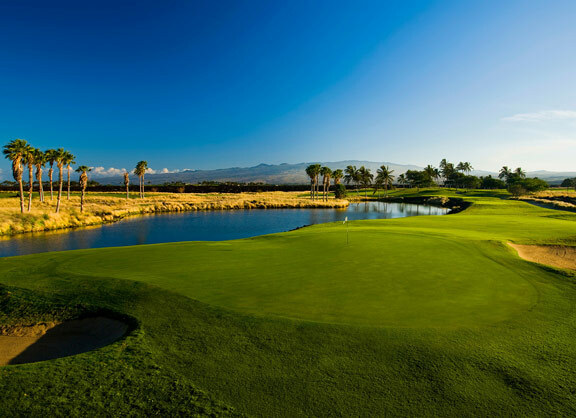 Weiskopf’s signature holes are always his short par-4s, which are admirably presented at the 5th and 13th Holes. 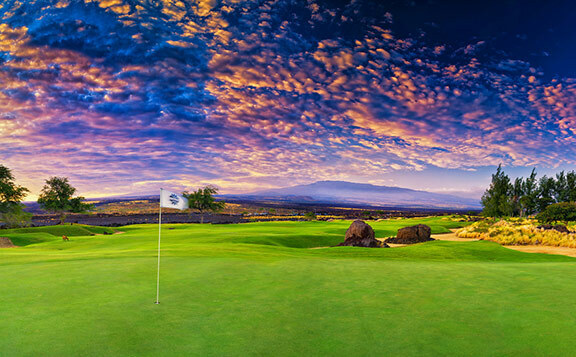 The Waikoloa Kings Golf Course is one of the best courses in Hawaii on which to stage a match or tournament. The multiple tees, on-course amenities and return to clubhouse from each nine make staging and scoring a pleasure. 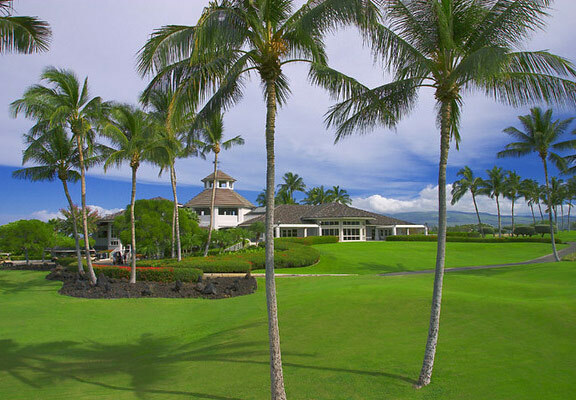 The Waikoloa Kings Golf Course clubhouse (shared with Waikoloa Beach Golf Course), which has a restaurant — Mai Grill — that serves breakfast (7:30-10:45 daily), lunch (11:00-3:00 daily) and dinner (6:00-9:00 Thu-Sat). For those looking to freshen up for dinner or the flight home, showers are found in the restrooms below the pro shop. 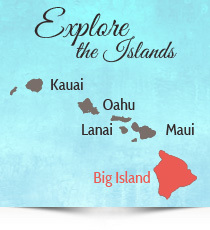 The on-resort Tropics Ale House (located at the old Beach Course clubhouse) is a great choice for lunch or dinner and delivers a 20% discount to those presenting a GOLFHAWAIICARD. The pizza, salads and 24 craft beers on tap are an absolute delight. 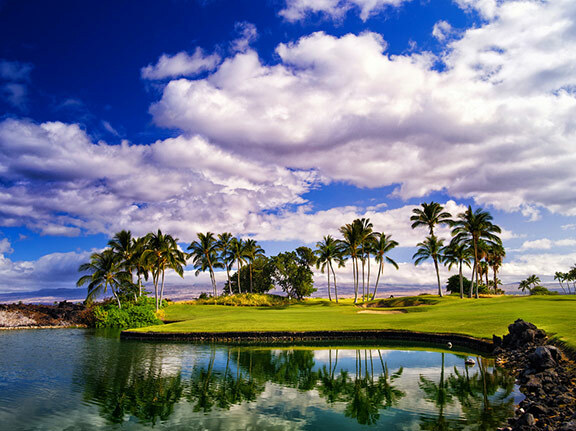 Courses may be played in any configuration. 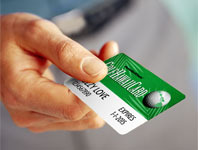 Tee times up to 90 days in advance. This program guaranteed through Jan. 31, 2020. 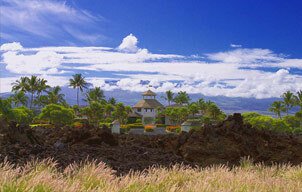 HawaiiGolfDeals – Your First Source for Hawaii Golf Vacation Deals.